01:35 — Doctor Who: The regenerated Experience. 02:30 — Blake’s 7: Audio cast reunion play. 03:58 — Robocop: Remake casts big acting names. 05:55 — Shatner: BP Olympics medal lookalike. 06:38 — Rush: Some popular beat album based on steampunk with Kevin J Anderson novel. 07:45 — Mini Cooper: Steampunked car. 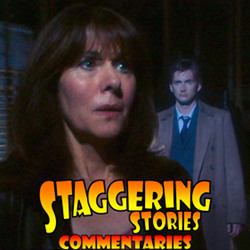 12:31 – Doctor Who (and more): Anniversary stories. 29:56 – Dead or Alive! 36:45 – Dinner Party Guests. 53:36 – Farewell for this podcast! ForceCast.net: Uncle Moralos Bedtime Stories (Video). 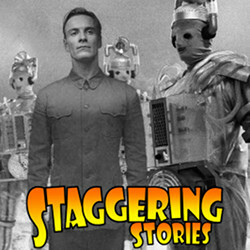 Adam J Purcell, Andy Simpkins and Keith Dunn sit down, metal doggedly, in front of the 2006 Doctor Who story, School Reunion, and spout our usual nonsense! BBC: Doctor Who – School Reunion. Wikipedia: Doctor Who – School Reunion. 02:42 — Doctor Who: New companion to remain a mystery? 04:45 — Sanctuary and Dirk Gently: Dead! 07:48 — Planet of the Apes: Sequel of the Rise of the Planet of the Apes named Dawn of the Planet of the Apes. 09:52 — George Lucas: The throat himself is retiring. 11:25 — Barrowman: Bell boating for the Queen. 13:47 — Matt Smith: Smith carries the Olympic Torch in Cardiff. 14:53 — Baftas: Steven Moffat, The Fades and Sherlock’s Moriarty, Andrew Scott, win awards. 16:01 – Things in Five Words. 39:17 – Just a Minute. 51:14 – Doctor Who: The Tenth Planet. 83:46 – Farewell for this podcast! 84:22 — End theme, disclaimer, copyright, etc. Wikipedia: Planet of the Apes (franchise). BBC: Doctor Who – The Tenth Planet. Wikipedia: Doctor Who – The Tenth Planet. 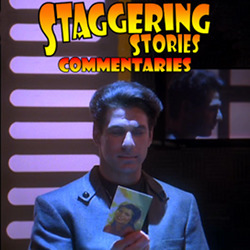 Adam J Purcell, Andy Simpkins and Keith Dunn sit down, gobsmacked, in front of the Babylon 5 second season episode, In the Shadow of Z’ha’dum, and spout our usual nonsense! The Lurker’s Guide to Babylon 5: In the Shadow of Z’ha’dum. Wikipedia: In the Shadow of Z’ha’dum.